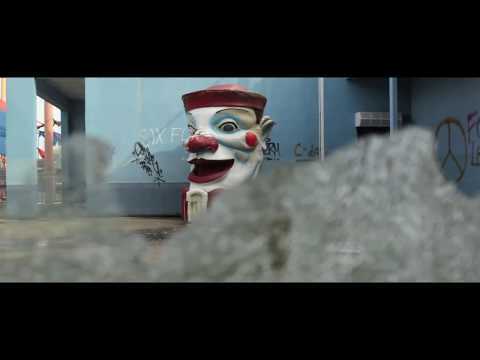 A short film shows the continued & abandoned Six Flags New Orleans since Katrina. Filmed with the permission of the city of New Orleans. Should be noted that the site is now owned by the City of New Orleans, and Southern Star Amusement Inc. Both are working on new theme park after demolition. Last edited by JMora; 11-29-2010, 08:34 PM. Sprawled out on & protruding the earth in all directions. in this world in a world. This memory in a dream. the constant noise of ten thousand minds & mouths. All now is portrait still. Tired ghosts in dead machines, waiting for a Reaper to come. A well visualized and disturbing video, makes the brain juices go on turbo-cycle! So sad to see it in this state. It'll be interesting to see what takes its place. It's sad, and gorgeous, and amazing, and wow, but mostly sad to me. I'm glad they made the video and I hope the new whatever lives up to what was here. Pretty sure the inverted coaster is already gone and is now at Six Flags Fiesta Texas. That was an excellent video. Truly creepy. Wow! It is sad to see any amusement park left to decay like that. I think the music of this video really added to the power of the filming. That was sad and cool at the same time. It would be cool to see a Disney theme park all abandoned and falling apart like that, we're are so use to them looking like perfection would be quite interesting. Yes I know I can look at Nara Dreamland but I mean a real Disney Park. Jazzland, which was the original name of the park, should have never been built. There had been a couple of parks in the New Orleans area that had closed in the recent past. But somebody thought that a nice shiney new "theme park" would be a cash machine. As far as I recall, it was built with a lot of local government backing and the city provided the land. It was a money loser from the start. Six Flags entered into a lease with the city of New Orleans back when they were on their ill fated expansion kick. They poured countless millions of dollars into this particular black hole, and it kept bleeding green much like Geauga Lake did. Rumblings are that SF was looking for a way out the lease before Katrina hit. This video reminds me of all the videos and photos you see on the net for Dixie Square Mall.